Trustees are appointed by the board of trustees who meet on a regular basis throughout the year. The day to day running of the trust is overseen by the secretary to the trust, supported by the chairman of the trust. The chairman of the trust is appointed by the trustees. 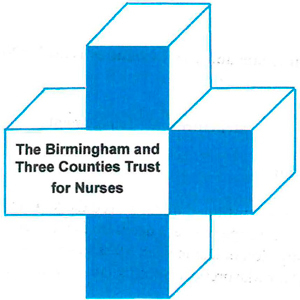 ‘The purpose of the trust is to help qualified nurses and midwives who are working in or who have worked in the areas of Birmingham, Warwickshire, Worcestershire and Staffordshire by establishing a trust fund and providing money and support for those in distress (particularly the elderly and those with a debilitating sickness) and to provide grants for training leading to a post registered qualification. The trust invites applications from registered or enrolled nurses and midwives in need of assistance applicants must have worked or are working in the specified geographical area for a period of approximately three years (although this time period is discretionary) at! applications are vetted by the trustees. There is a tri-annual review of all gr~nts made and members of the visiting panel do regularly visit those who have received grants both to offer help and assess current and future needs. Anyone can request application forms on behalf of a nurse or midwife, although the completed forms must be Signed by the nurse concerned. The returned application forms are confidential, but will be used by the trust to assess need.